IndieFlix, a marketplace for independent films, has launched MyFestival, a new streaming video site that will let film festivals crowdsource the movie selection process. MyFestival is making its debut in conjunction with the Seattle International Film Festival (SIFF), which is taking place from May 22 to June 15. For MyFestival’s pilot trial at SIFF, users will be able to stream and vote for any of ten films and ten shorts for free from now until June 8. After the deadline, the votes will be tallied and the winning film will be screened during one of the festival’s most prized time slots. Even the films that don’t win get something out of the deal – the site provides detailed demographic responses that let filmmakers tweak their distribution plans. The site has already forged deals with a number of other festivals, and major venues like Sundance are watching the results closely. Getting a screening at a film festival can be very competitive, even with hundreds of festivals in the United States annually. Even if a film is screened, getting distribution is considerably more difficult – less than 1% of American films find meaningful distribution. IndieFlix CEO Scilla Andreen says that a new voting system could help expose many of these films to a much broader audience, with the ultimate goal of giving the audience a say in what films are shown at their local multiplex. Of course, the new system is going to run into a number of problems. The prospect of screening an unreleased film in an uncontrolled environment is a movie studio’s worst nightmare – just plop a video camera in front of the screen and you’ve got a (low quality) copy to share across the internet. Many of the independent filmmakers involved in MyFestival were understandably hesitant to join, but Andreen says that for many of them, the “old school” method hasn’t been working, so they’re willing to try something new. MyFestival is powered by GridNetworks, a Seattle-based video streaming service. Grid movies require users to install a small “connector” plugin that claims to offer HD quality material in a secure manner. 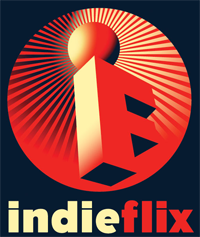 IndieFlix was founded in 2005 and recently closed a $1.3 million Series A round of funding. For the time being MyFestival is totally ad free – the site hopes to finance the site through sponsorships after proving the system’s feasibility. Anther player in the indie film festival space is b-side.